It’s a form of investment that is constantly grabbing the headlines and over recent times, really seems to have picked up the pace. However, if you were to question the Average Joe about the bread and butter of private equity investments, there’s every chance that you would be met with a blank look. In short, this can be a complex type of financing and one that is difficult to get your head around. One element that is quite simple is the way in which investors approach it though. Whether it’s Marc Leder from Sun Capital, or a completely different investor from the other side of the world, most have very similar principles when it comes to private equity investments. This is what we are going to be looking into today; as we scour through three of the key ingredients that form the typical private equity investment. One of the big misconceptions about private equity is that all groups are looking for an immediate change in management, as soon as their investment is finalized. Generally, this isn’t the case. An investment team would much prefer to take control of a company which has an impressive management team. This is because the existing team already has inside-knowledge of the company; they know what is working well, and what is necessary for improvement. If a company is forced to completely change the management, there are all sorts of issues to combat. They will firstly have to pay to replace the team, before then waiting for the new management to learn the internal processes of the company before they can implement any sort of change. This is related to both the market, and the company in question. One of the main requirements for a private equity company is the potential for high growth. Without this potential, their investment just isn’t going to work. Most approach companies with an exit strategy, which obviously will depend on a high rate of growth. As such, they need to analyze firstly if the market has any potential for growth. From this point, they need to see if there is any space for this company to grow. In particularly small markets, this might not be possible, so a great deal of research will be placed into this area before the investment is made. This is perhaps one of the more surprising elements of private equity, but one of the big things that investors look out for is a good reputation. This is something that can only be harvested through time, which is one of the reasons why it’s regarded as being so important. A company can’t suddenly decide to buy an enhanced reputation; it’s something that can take years to build up. As such, if there have been reputational problems in the past, this might mean that a private equity firm isn’t as interested in your company as you initially might have thought. Buying a new home is a very exciting milestone in your life. It’s a huge decision that requires a lot of your time and energy. You have to do your homework to find the right property for you and your family, and hope that what you’re moving forward with is the right choice for everyone involved. Before you uproot your entire life, though, you need to first ask yourself a series of important questions. Not only can this fill you with confidence, but can also bring excitement to a new chapter in your life. Can You Envision Your Style? Before you purchase any furniture, you need to determine your new home’s overall theme. If you like everything vintage, then see if your house matches that style. However, if you prefer a more timeless and classical approach that matches any house’s interior or exterior, then looking for a seller that deals in contemporary furniture is ideal. Start with each room and picture what furniture you’d like to include. If you want a modern bedroom, then stylish modern beds from Lumens can be the centerpiece of your bedroom. If you want a contemporary living room, then hang statement lights that act as art but are also functional. How Much Work Will You Need to Put in? Take a look around and understand the condition your potential property is in as it stands. Read through the inspection papers and make sure you’re clear on what needs fixing and what can wait. Talk with your spouse and agree on what projects you’re willing to do yourself and which ones will require you to hire a contractor. Remember that it’s not only money, but also your time and energy that’s going to be spent in redecorating or renovating this house. Do you like the Neighborhood? Although you like the house, consider if the neighborhood is a good fit for you and your family. Walk around, go to the stores and drive through the areas outside of your specific neighborhood. Talk to people you see on the street and do research into how the schools are rated. You have to immerse yourself in the scene to get a true feeling for what you’re getting yourselves into. Don’t let your love for the house sway your decision one way or another. You have to evaluate the neighborhood on its own and decide if it’s a good fit. Is there Space to Grow? You might love the way the house you want to buy looks and feels. However, determine if it’s going to meet your needs as your family grows and matures over the years. Think about whether you want to have any more kids and how much stuff you’ll need to store as the kids grow older. It may not be a smart move to purchase a place that barely fits you and your family if you’re looking to expand. When it comes to buying a house, whether it’s your first or fourth, you need to think clearly and carefully about the property in question. Rather than rush into such a move, consider the questions listed above and make a logical decision with your whole family in mind. If you’re a body builder on a budget, then we’re here to help! Check out this awesome list of the best affordable supplements out there. Whether you’re looking to lose weight, build muscle or improve your performance, supplements can help you along the way. Nutritional supplements have several health benefits. Unfortunately, they can also be very expensive. You don’t have to shell out on endless amounts of pills and powders to get results. In this post, we’ll tell you how to supplement the right way. Read on to find out which affordable supplements you should be taking. Don’t waste money on useless, ineffective supplements. These 5 products are all you need. For many fitness enthusiasts, whey protein is a staple of their nutrition and training program. The amount of protein you need will depend on your bodyweight as well as how often you exercise. No matter what the figure is, it can be difficult to achieve through your standard three meals a day. This is especially the case for those with busy lifestyles. If you struggle to consume enough protein through your usual food intake, whey protein is perfect for filling the deficit. It’s a fast, convenient and effective protein source, which you can carry with you to the gym and take immediately after your workout. It’s also a great way to get the right amount of protein without any added calories or fat. Most protein powders have around 20 grams of protein per serving, with very few added ingredients. If you’re vegan or lactose intolerant, you can still enjoy the benefits of protein powder. There are plenty of plant-based versions available, including pea protein, soy protein, quinoa protein, and more. Lots of powders contain extra amino acids, too. There are thousands of different products on the market for you to try. Read more about the different types of whey protein available and find the best one for you. If there’s one supplement you can’t do without, it should be creatine. Unlike many other affordable supplements elsewhere, it’s backed by solid science. Creatine is scientifically proven to increase muscle mass and improve performance. It helps your body to produce more ATP so that you can workout at a higher intensity. If you use it correctly, you may find that you’re able to sprint faster, jump higher, or complete more reps in the long run. Creatine is also one of the most affordable supplements because you don’t need to take the same amount every day. When you first begin supplementing with it, you start with a loading phase. This usually involves taking up to 25 grams of creatine a day for five days in order to saturate your muscle cells. After those five days, you can reduce your intake. From there, you only need to take 3-5 grams a day in order to maintain your creatine levels. You don’t need to consume scoop after scoop of creatine to feel the benefits. Just a small amount every day is enough to keep you going and produce results. You need more than just protein in order to build muscle. Your body needs other ingredients, too. That’s where branched chain amino acids come in. BCAAs are the building blocks of protein. They stimulate muscle synthesis, which helps your body make the gains you’re working for. They also help with your recovery, too. If you take BCAAs during your workout, you’ll have less muscle soreness than usual. You’ll also become less fatigued, as your body won’t use up so much glycogen. Taking BCAAs is easy. Simply mix one or two scoops of powder into your water, then drink it while you’re working out. You don’t have to worry about the taste. Most supplement manufacturers add flavorings to make their BCAAs taste great. There are hundreds of different products available, with different fruity and refreshing tastes. The recommended dose is 5-10 grams per day. For most products, this amounts to no more than $1 per serving. You can’t build muscle without glutamine. It’s one of the most important products for athletes and bodybuilders. It’s also one of the most affordable supplements out there. This valuable amino acid draws water and glycogen into the muscle cells, making it more readily available to use. As well as providing energy for muscles, it also does the same for the immune system. Frequent, rigorous training can take a toll on your body, and if you don’t take the right supplements, you could leave yourself more susceptible to illness. Glutamine keeps your body in tip-top condition, so you can feel your best for every workout. This essential supplement doesn’t break the bank at all. A bottle of glutamine capsules should only cost you around $10. If used correctly, that will last for a whole month. Fish oil isn’t just for old people. Every athlete and fitness enthusiast should be taking it, too. This is because the Omega-3 fatty acids it contains are vital to the body. The body can’t make these fatty acids on its own, and it’s difficult to get enough in your diet. Even if you eat a lot of fish, nuts, and avocados, you still may not get all of the Omega-3 fatty acids you need. These acids decrease muscle breakdown and increase protein synthesis, making it easier to build muscle mass. They also improve your heart health, so you can be a better athlete overall. Exercising regularly is a great way to live a healthy and balanced life. As well as working out, you need to keep your diet in check, too. This doesn’t just mean cutting treats out of your diet and counting calories. It also means eating the right foods in the right amounts at the right times. Supplements can help you do that. As well as these affordable supplements, there are other products you can use to help you get in shape. Find out more about how natural weight loss supplements can help you. Investing in real estate isn’t just about finding the best deal, there’s many other factors to consider. Read on to learn what to look for in an investment property so you don’t waste your money. If you’re considering buying an investment property, it can be incredibly confusing to figure out where you should start. From setting a budget to finding a real estate agent and trying to figure out how to finance remodeling projects, it’s easy to get overwhelmed before you even begin! However, it’s no secret that investing in real estate can become lucrative fairly quickly. Especially if you’re interested in mastering the fine art of passive income, buying a rental property is an incredible opportunity. Of course, if you don’t make smart, measured choices, buying investment property is also an excellent way to lose a large portion of your savings seemingly overnight. In this post, we’ll tell you what to look for in an investment property. Read on to feel confident about the decision you’re making when it comes to your first ever real estate investment. Before you figure out what to look for in an investment property, the first thing you need to do is examine your personal finances. In today’s world, the average American household is over $137,000 in debt. If this describes you, then you need to think long and hard about whether or not now is truly the right time for you to buy a rental or investment property. Take a look at your financial future, as well. Even if your debt levels are under control, what sort of upcoming expenses do you have coming up? Are you nearing retirement? Do you have children you’ll soon need to put through college? Are you in over your head when it comes to your student loans? What about your medical expenses? Make sure all of these things are manageable to avoid a financial disaster. Further, you need to understand that the cost of a down payment on your investment property will likely be a bit more expensive than a traditional home buying experience. In most cases, buying a rental property will require you to pay about a 20% down payment up front. Ensure this is a sum you’re comfortable with before you make any final decisions. When you’re buying an investment property, it’s also essential that you take the time to figure out what your operating expenses will be. This can help you to have a more accurate understanding of how large your profit margin will really be — and help you to determine a good rental price. Another important thing to think about when you’re calculating your operating expenses? How much interest you’ll need to pay each month on any money you borrowed in order to finance the purchase of your investment property. This is why it’s always a smart idea to shop around with several different lenders before you make a final decision. Remember, it’s always better to go for the option with the lower interest rate. Yes, even if those with high interest rates off you more money. We know that, when you’re trying to understand what to look for in an investment property, it can be tempting to go for the fixer-upper. After all, you’re getting the home at a great price, you’re able to start work on it sooner, and it has an easier closing process than most. Not to mention, you’ll also have a fun and exciting project to work on over the next few months. Here’s the reality check that you need: home renovation costs are skyrocketing. In fact, they can quickly run to over $50,000 depending on the size of your home and the kind of renovations you need done. Don’t be fooled by the seemingly “cheap” cost of run-down fixer-uppers. Especially if you’re new to the world of real estate investing, it’s simply not the place you want to start. Plus, keep in mind that the overall timeline of the renovation projects will make it difficult for you to turn a profit quickly. You won’t be able to start renting out your property until all of your renovations are complete. And even if you’re able to set a firm deadline with contractors, things like poor weather, a lack of the required materials, and even worker injuries can slow down the process — and end up costing you even more money. 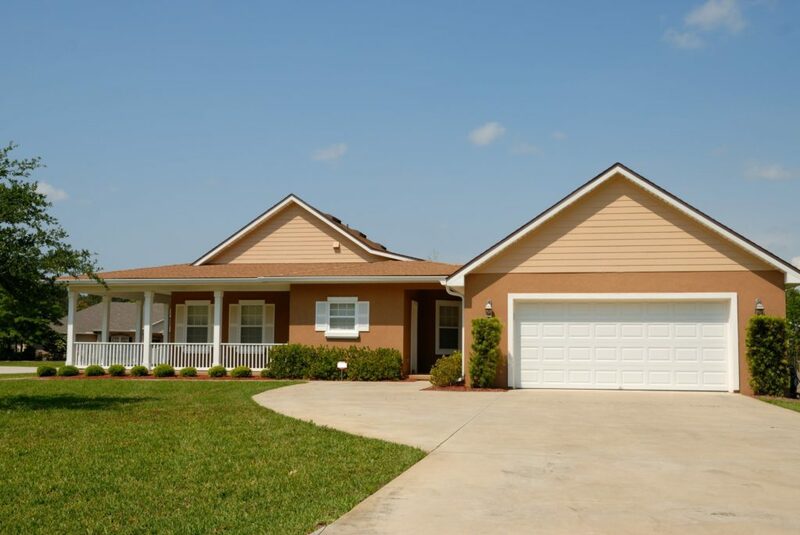 When you’re buying a rental property, one of the most important things to take into consideration is the neighborhood that the apartment or home is situated within! After all, no one wants to live in an area where they feel unsafe, or where they can’t get the things that they need. Look for a space that’s located somewhere near the center of town. Walkability and access to central transportation hubs is especially crucial if you’re more in the market for short-term or vacation renters that don’t really know the area. Of course, you should also make sure that there are plenty of things for your renters to actually do in the area where your property is located. Be aware that your neighborhood will also be a huge influencing factor on the type of people that are most likely to rent out your property. So, if you’re concerned about a bunch of college kids renting out your property and causing thousands of dollars in damage Then you might not want to buy a property that’s close to a university. You should also look into the rules surrounding rental properties in the areas that you’re interested in. Remember that you may need to pay additional fees in order to rent out your space, or meet with community board members to ensure that you’re on the same page. When you’re trying to learn how to buy investment property that will appreciate over time, it’s important to consider how you think the area will develop in the future. You don’t want to end up in a neighborhood that’s trendy right now, but might become too overcrowded in the future. Take a look at your city’s development plans and try to determine how they might impact the overall value of your property in the future. For example, if a large factory is slated to go up in the area you’re considering buying within? You can expect to lose some money when you try to sell it. Also take a look at things like parks, nearby school, malls, and other kinds of amenities. 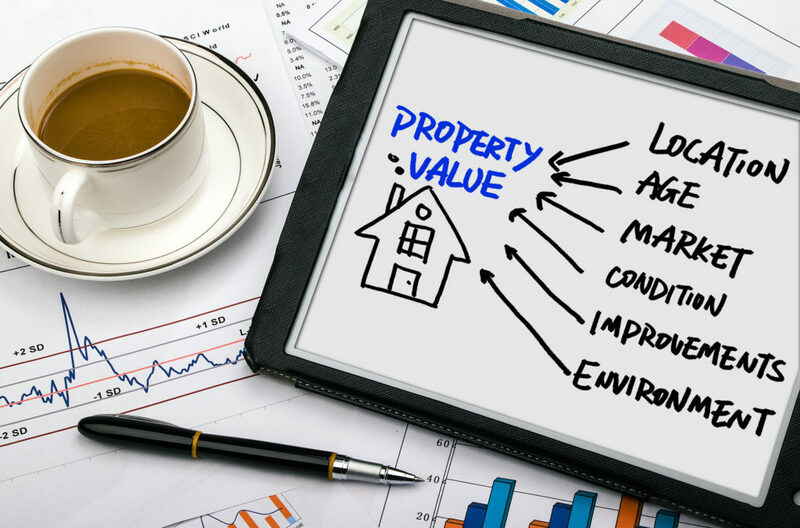 These are all things that could certainly have a positive impact on the overall value of your rental property in the future. In some cases, buying an investment property just isn’t something you can — or even should — attempt to do on your own. From finding the perfect location to managing your property when you’re away or preparing it for a future sale, getting help is always a smart idea. High Return Real Estate’s process is explained on this website. Essentially, this company and others like it work to help you find the perfect property for the best possible price. Then, they take care of the renovations in order to ensure you can start renting or selling your home as soon as possible. They even offer property management options, so that it’s easier than ever for you and your family to collect a passive income — without having to worry about the hassle of maintenance. Then, they mail a check to you every month. Talk about taking the guesswork out of real estate investment properties in your area! We hope that this post has done an excellent job of laying the foundation of what to look for in an investment property. Remember to first make sure that now is truly the best time for you to invest in real estate. Pay down your debt, consider your operating expenses and interest rates, and make sure you can actually afford the down payment on your property. Also, when buying a rental property, consider the neighborhood, the long-term growth potential, and whether or not you could benefit from professional help. Looking for advice on how to upgrade your property? Need design and maintenance help? Want to pay down your debt so you can buy? Check out our website and blog for tips on how to make all of this — and more — happen for you. Choosing the right investment fund doesn’t have to be overwhelming and confusing. Click here to learn how to find the right one for you and your family. Are you thinking of investing in a mutual fund? Not sure where to start or which investment fund is best for your needs? 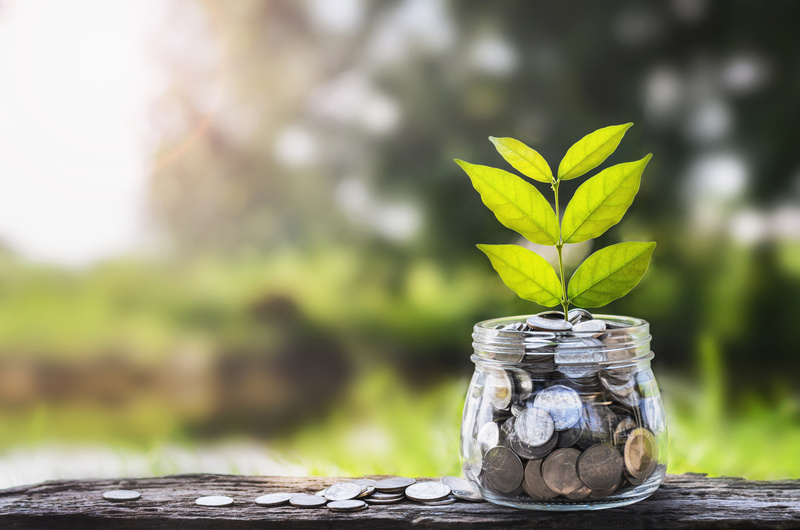 In this article, we’ll cover everything you need to know about investment funds and finances, so you can pick the right one for you and your family. Selecting an investment fund seems stressful, but it’s pretty easy if you go about it the right way. Here are our top tips that will help you pick the right investment fund for you. The first step in picking an investment fund is knowing what you’d like to accomplish. Do you care more about current income or do you have long-term capital gains in mind? There are many mutual funds available to investors, so identifying your goals is key to cutting back on your options. Beyond identifying goals, you need to figure out your own personal risk tolerance. Are you okay with dramatic swings in your portfolio’s value or are you a business owner who needs the comfort of more conservative investments? Risk and return are related to investments, so you need to balance your desire for returns with the risk you’re willing to tolerate. How long do you plan on holding onto your investment? Do you think you’ll need to liquidate your investment in the near future? If so, you should know that many mutual funds have sales charges that can cut into your return. To avoid these charges, you should aim for an investment horizon of five years or more. Most investments come with associated fees that you should know about before picking one. Some funds will charge a load fee, which you either pay at the time you buy the fund or when you try to sale your investment. The front-end load fee is what you pay out of the initial investment, and the back-end fee is what you’re charged when you sell your shares. These charges can range anywhere from 3% to 8.5%. No, load funds don’t charge either of these fees, but they do have other fees that can be very high. When reviewing an investment, always make sure to review the management expense ratio, as this will help you determine what your return would be at the end of the year. Were the fund’s results consistent with general market returns? Did the returns vary dramatically throughout the year? Was there high turnover or larger tax liabilities? What do I need to know about personal capital vs betterment? The answers to these questions will give you insight into how this portfolio manager performs, and tell you more about turnover and return with this fund. Knowing how to pick an investment option is an important part of building your portfolio. By following the tips in this article, you can pick the right fund for you, and start making money! Is this your first time choosing a fund? Have any other questions? Let us know in the comments! The U.S. has shifted gears and is now following a weak dollar policy. At least, that’s what economists believe following Treasury Secretary Steven Mnuchin’s comments in January 2018 welcoming a weak dollar, saying that it’s great for American businesses and will help reduce the U.S.’s trade deficits. With trade deficits a top priority for the Trump administration, it looks like the U.S. government is out to weaken its dollar against other currencies to help improve manufacturing competitiveness and boost exports. What does the weak dollar policy have to do with silver prices? Over 50 percent of silver demand comes from industry. Silver may be the most widely used precious metal in industrial applications. If a weak American dollar means more exports, it also means more industrial activity. Only about a quarter of silver is used in coins and medals, including silver collectibles, collectible silver coins, and silver bullion coins. The largest industrial uses for silver are in computers and electronics, medical uses, silver brazing and soldering, chemical manufacturing, engine manufacturing, solar panels, and glass and mirrors. Electronics accounted for 5.9 percent of U.S. manufacturing shipments in 2012 while chemical production was more than $767 billion in 2016. Pharmaceutical and medical device manufacturing is another major U.S. manufacturing sector. As all of these sectors use silver as a key component in many consumables and devices, silver demand will see gain thanks to stronger exports. Keep an eye on the latest price of silver in the coming months and years to see how industrial demand becomes great news for silver investors. Would-be silver investors should start buying silver sooner than later if they want to take advantage of increased industrial demand spurred on by a stronger U.S. manufacturing sector. The silver market is not easy to predict, but there are more factors than just industrial demand playing into silver price predictions. An uneasy stock market and rising interest rates are also factors that could contribute to rising silver prices in the near future. Supply is another concern as there could be silver shortages down the pipeline due to present under-investment from mining companies. You can start investing in silver online from sources like Silver Gold Bull, precious metal distributors who connect consumers with silver bullion from around the world. Silver coins, silver rounds, and silver bars are some of the most common silver bullion products you can invest in. Silver coins like the Silver Maple Leaf and American Silver Eagle are not available for purchase directly from national mints. You will have to buy the from silver dealers like Silver Gold Bull, which are also convenient sources for silver products like privately refined silver bars. Privately refined silver bullion often comes at much lower premiums than silver coins, but there are restrictions on which silver products can be purchased as part of an RRSP portfolio. Do your research into which silver products qualify for tax advantages and whether or not it makes more sense to buy at a lower premium. Silver investors are about to see major gains in their portfolios. Don’t miss out on the opportunity. Sarasota is found on Florida’s Gulf Coast. It is a beautiful part of the country and many people from places as close as Tampa Bay or as far as Phoenix have wanted to move here. However, Randy Benderson has recently picked up a significant news scoop that there has been a shift in the real estate market in Sarasota. Today, it seems investors are becoming more interested in commercial and retail properties. 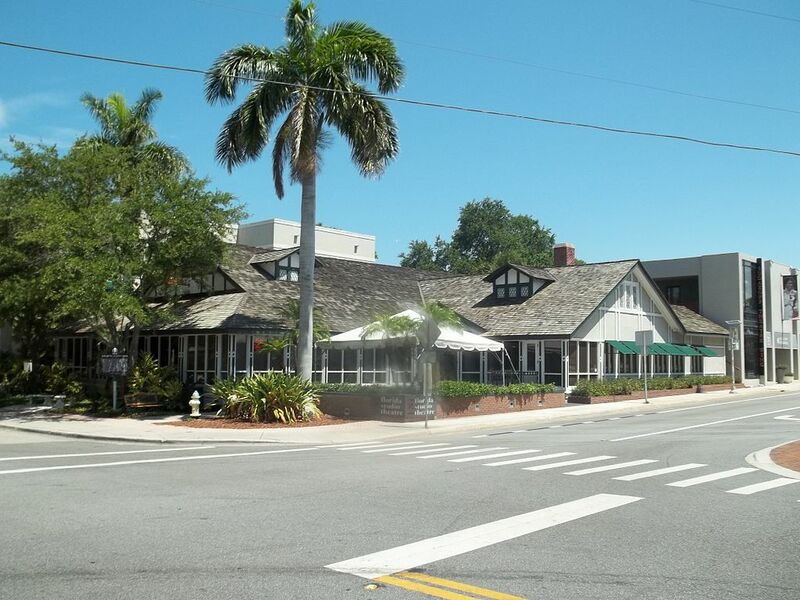 The commercial real estate (CRE) market in Sarasota is very interesting. There are resorts and hotels, investment properties, retail units, industrial warehouses, office blocks, and more. It seems that, in the past five years or so, this market has boomed in the area. Sarasota is still like a little piece of heaven on earth as well, which means it is also very attractive for residential people. Realtors are becoming increasingly interested in the CRE market, however. There are now also a lot of real estate developers, who are creating different strategies to make sure the area provides the functionality that is expected of a major 21st century city, while at the same time retaining its old town charm. To do this, Randy Benderson completed a study that demonstrated that what people look for in Sarasota is both a strong economy, and a fantastic view. The market is becoming increasingly interesting, and there have been some significant offers available, whereby investors could purchase commercial properties here for as little as 80% of what their actual value is. And, since this raised interest so much, a lot of business shares also started to grow, bringing even more money into the economy as a whole. Within just a few years, some people were able to earn a significant amount of money, and they pumped this straight back into the Sarasota economy. Benderson also noticed that there was a change in the labor market. A lot of CRE professionals, real estate professionals, financial experts, project managers, and accountants suddenly started to come to the area. The result of this is that the economic future of Sarasota started to increase as well. Unemployment rates have dropped significantly, and this has changed the face of the town. In the past, it was very much a retirement community, but it is now attracting young talent as well. Although the economy is never 100% stable, it seems that making investments in the Sarasota market is a pretty safe thing to do. Additionally, starting a business in that area is also a very good idea. While, again, there are never any real guarantees, the economy is strong, the labor market is thriving, money is growing, investments are being made, and experts all over the country are keeping their eye on Sarasota. Whether you are thinking of starting a business, moving to somewhere nice for your retirement, or simply investing in property, it seems this once little Gulf town is the way forward. It seems like new forms of cryptocurrency are coming out everyday. Some quickly fizzle while others gain in value and earn a place on the top of the charts. It’s easy to see that there are similarities to penny stocks because most cryptocoins are wildly inexpensive. And of course you want to buy low and sell high, but what other similarities and differences are there? 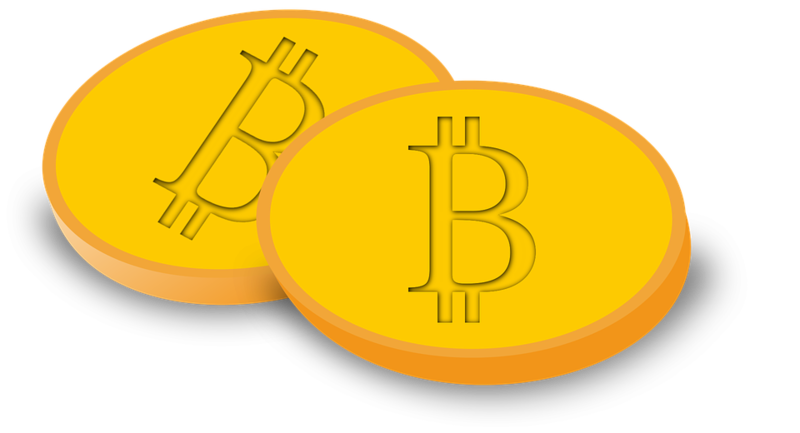 The low cost of penny stocks is blown away by the extremely low cost of cryptocoins. Sometimes these trade at a small fraction of a penny, allowing you to buy a ton of coin for not a lot of cash. However, since most cryptocoins don’t find any traction it doesn’t really matter if you own a million shares, it’s still not worth much if the stock never takes off. At this point it’s pretty easy to start trading penny stocks or start trading cryptocoins. You simply pony up the dough and you’re off. In that respect, the two are pretty similar because neither require a lot of hoops to jump through in order to start making trades with real money. One thing that penny stocks have going for them that cryptocoins don’t is that they’ve been around much longer. People are familiar with what stocks are and how they work, but cryptocoins are still largely a mystery to most. This means that much has been written on stock trading and strategy, but finding a successful cryptocoin trading strategy will be tricky because there are few experts that exist. Twenty years from now there will likely still be penny stocks because there will always be new businesses getting their start. But the same cannot be said for the vast majority of cryptocoins that exist today. There will probably be one or two main cryptocoins, like Bitcoin and one other big competitor, but who’s to say there will always be start-up coins around? It’s a lot of fun to trade penny stocks and cryptocoins because of how much action they get in a short period of time. You can buy a cryptocoin and in just a few hours it can make a considerable jump with plenty of buyers ready for you to sell to, and the same can be said for penny stocks. Because of the speed involved in both cryptocoins and penny stocks they can provide quick profits and you can lose your starting balance faster than you might be used to. It’s something to be aware of when starting out, and one more reason why you should never bet the farm, only using money that is earmarked for high-risk trades. It’s still very much like the Wild Wild West in the world of cryptocurrency and therefore you have to watch out for scams and unscrupulous trading platforms. There’s almost no regulation with cryptocoins so you need to trade at your own risk. 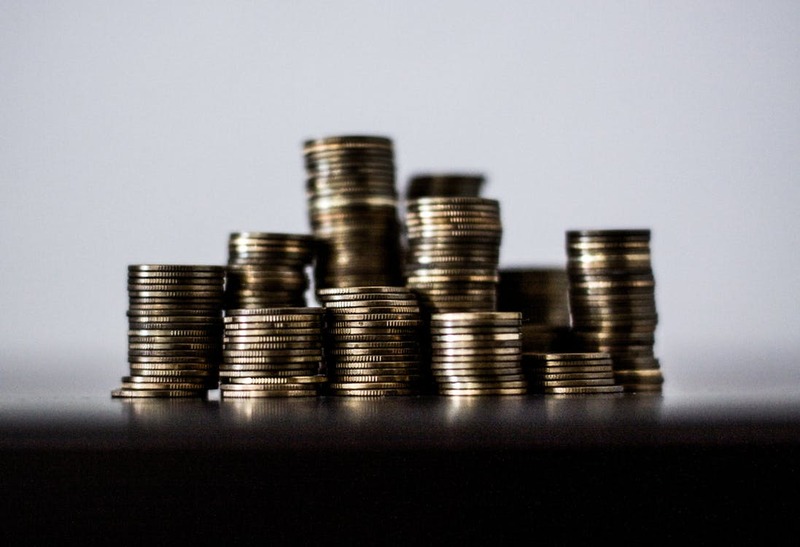 Since penny stocks have been around longer there’s more regulation involved (although scams still exist) and you can trust a well-established brokerage will still be around six months from now. There are many people who like to call themselves private equity investors, not in the least because this is a world of big money. In reality, however, few can truly make it in this world, because the smallest mistake can cost millions and most people are quite unforgiving of losses of that magnitude. Gregory Lindae, a seasoned veteran in the world of private equity, has come up with six “secrets” that anyone in the business should be aware of if they want to be successful. Be in the right place at the right time. Ideally, a private equity investor is able to find out about opportunities before anybody else. Usually, they do this by networking with entrepreneurs in online meetings, conventions, business events, and so on. Good investors, therefore, are always on the move, looking for the next big deal. Always research an opportunity. Good investors have a distrustful nature. Even if a company gets tons of positive feedback, no complaints at all, and offers airtight projections, there is always a “what if”. 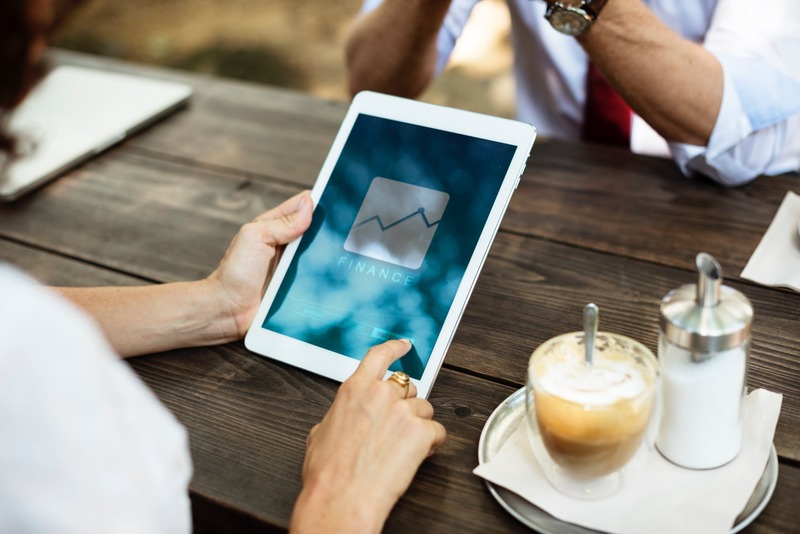 A good investor finds companies that focus on a sustainable and large market, who have an excellent exit strategy, and who have realistic financial projections in place. Always evaluate the management and leadership team. Good firms worthy of investment have strong management teams in place. This means there is a good business opportunity that attracts talent. Management teams should have years of experience and they should be able to demonstrate high investment returns. Always look at the exit strategy. Private equity projects are eventually refinanced or sold, at which point the liquidity event or exit strategy should kick in to offer investors’ their rewards. The exit strategy should be properly understood before embarking on a project. Always exert due diligence. A good private equity investor looks for funds that are in line with their own goals for investments as well. This means that they will peruse over the business plan of a prospective company, read all the information that is available, ask a thousand questions, and more. Only then should they even begin to consider whether or not to invest. Focus on diversification. Private equity is a form of investment and any financial expert will tell you that the only stable portfolio is a diverse portfolio. Through diversification, and particularly in private equity, money becomes more secure. While it means that gains may not be as massive as they would be if all money was invested in a single project, it also means that losses aren’t absolute. Good private equity investors know all of this. Those looking for private equity investors, however, often don’t know this. According to Gregory Lindae, becoming more aware of how things work – or should work – will ensure that people gain greater security with their investments as well. Research, due diligence, and a healthy dose of common sense is all that is really needed in terms of choosing a private equity expert to work with. Have you ever been skydiving? Most people haven’t but most people do know some of what it involves. Mainly, they know that, on your first few dives, you will be jumping in tandem, rather than being thrown out of a plane by yourself. The reason for this is that, whenever you start something new, you have to have an expert to hold your hand while you do it. Gregory Lindae isn’t a skydiving expert, but he is an investment expert. And the biggest mistake he sees people make again and again, is that they believe the can read a little bit of information online, such as on Wikipedia, and believe they suddenly know it all. The reality is that you can read as much as you want, you will never have real life experience unless you have an actual go. But, just as with skydiving, there is no room for mistakes. They say that, if at first you don’t succeed, you should simply try again, but this, for obvious reasons, isn’t possible with skydiving! Similarly, it is not really an option with investing, because you will lose all your money if you don’t succeed. The reason why so many people who invest for the first time do things wrong, is because they are driven by their emotions. Did you know that studies have shown 96% would prefer to burn their mouth than to wait for food to cool down? And that 50% of people hang up the phone if they have been on hold for a minute? We want instant gratification, something that simply doesn’t exist in the world of investment. Gregory Lindae also warns that we are no longer in the 1999 or 2000s, when stocks just grew and grew and people made millions overnight. At the start of 2000, there was a 15.6% drop in shares, and people panicked, selling everything that they had. Had they hold on to their stocks, they would have been sitting on quite a lot of money today. But that would have required patience, something that beginner investors in particularly do not have. Similarly, those without experience often miss golden opportunities. Take solace in the fact that even Warren Buffett has been guilty of this. He once recommended people didn’t invest in big tech, including Amazon and Google, something that he now feels a lot of guilt about. He didn’t believe in tech systems himself, and that was a mistake. Key to being successful, clearly, is to work together with an expert, someone who knows the ropes. But even that isn’t enough. It is best to have things checked and double checked, because even the experts have emotions. This is why people like Gregory Lindae always get second opinions on any decision they want to make, and they recommend their clients do the same. By building on the success of others, you have the greatest chance of becoming successful yourself.